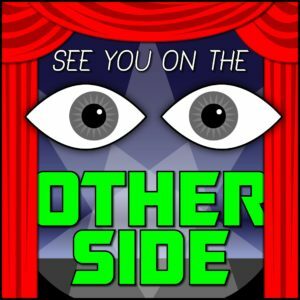 It’s a very special episode of See You On The Other Side. This Halloween will be our ONE YEAR ANNIVERSARY! How time flies when you’re exploring the unknown while writing songs about it! 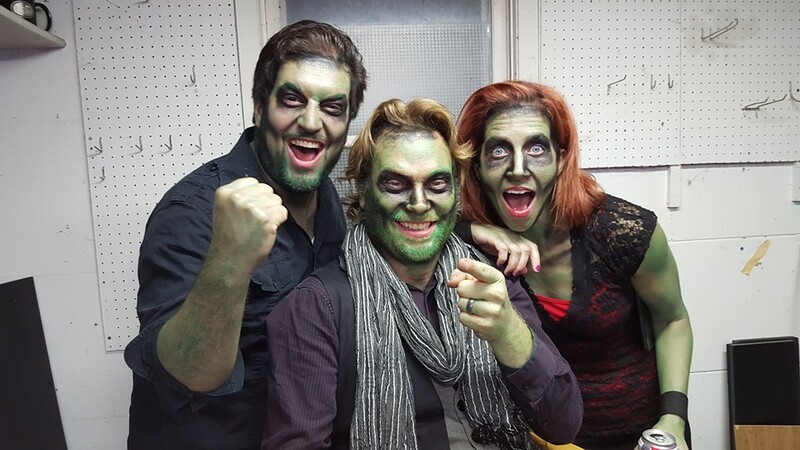 And obviously, we love Halloween, so we got zombified and joined the cast of Rockford sitcom The Deadersons and worked on a special music video with them! 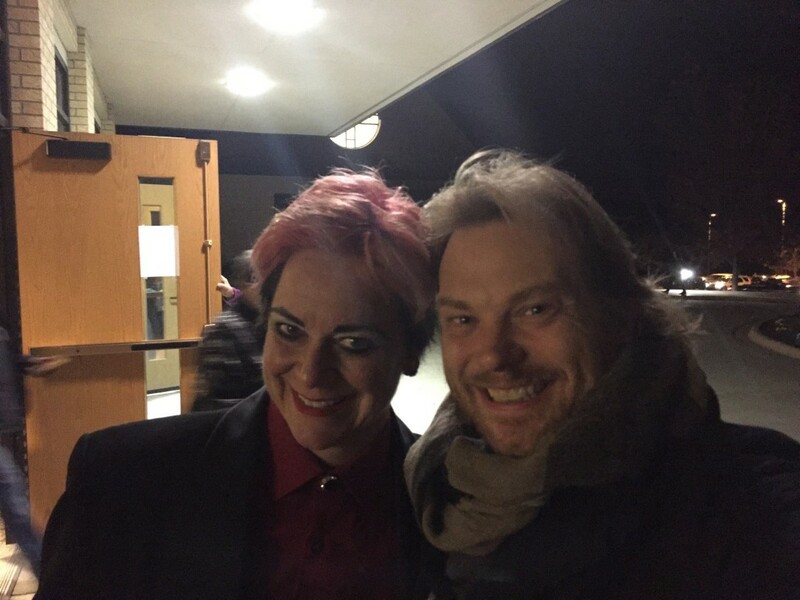 For this episode, we brought our friend and my Madison Ghost Walks guide, Lisa Van Buskirk into the studio with us (last heard in our episode at the Milwaukee Paranormal Conference). Lisa and I went to go see Saint Maria Goretti when she came through Madison in mid-October. There’s a church in Madison that’s named after her and they were displaying the saint’s body. There was around 100 people waiting in line when we went around 10pm but the showing went all night and they expected around six thousand people to come visit her. Just a quick refresher, the Catholic Church says that anyone who makes it to Heaven is a “saint” but they recognize some people for special holiness and give them the title of “Saint”. She supposedly appeared to her attacker in prison and also people have claimed miracles from praying at the body of Saint Maria and her remains have been covered in wax and they take her on tour where people can pray with her body, who the Church now considers a relic. Needles and pins, needles and pins! When Hallowe’en comes, your trouble begins. When Hallowe’en comes, the fun begins. 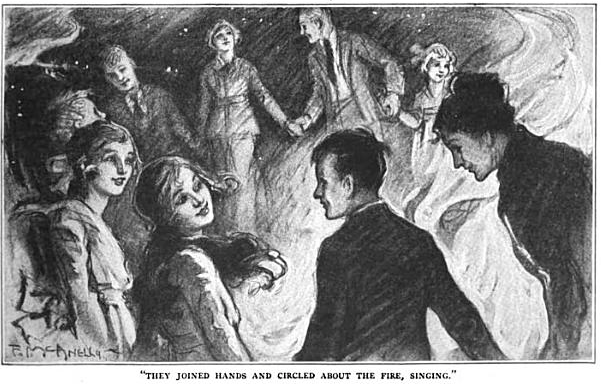 Just saying that rhyme always scared me as a boy, and I finally found the story, by Josephine Scribner Gates, in a 1918 children’s magazine called St. Nicholas. You can read it online right here. But that just reinforced my belief that this was the season for mischief. While most of mine were stupid (toilet papering trees, saying silly things in wax crayons on people’s driveways), in other towns, pranks got real dangerous, especially in Detroit. Yeah, looks all innocent and fun… for now. After a record number of fires in 1994 (the year The Crow came out), the city started Angel’s Night, as a response to the arson and tens of thousands Detroit residents walk the streets on that Devil’s Night to keep their neighborhoods safe. They made a Mischief Night movie in 2014 with the not-very-discerning Malcolm Mcdowell. But the most obvious inspiration is for a film called The Purge, a horror flick and social satire about a future America where crime is so bad that for one night a year, everything is legal for twelve hours. That means that people can do whatever they want for one night, cause as much destruction, kill people, whatever, and it serves as kind of a population control for the poor. Will Ferrell and John C. Reilly were also attached to a Devil’s Night horror-comedy, but the status of that is currently unknown. 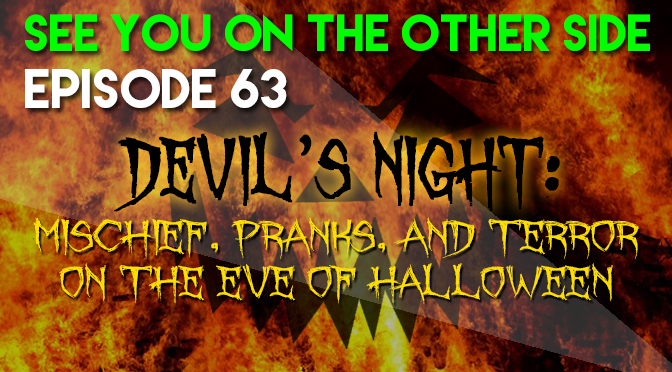 But this particular episode has a point that we get to eventually, and that Devil’s Night is the perfect example of how people turn something innocent like a prank into something horrible, like arson. It’s the mentality of a riot. Sometimes when people talk about riots, they think of Los Angeles in 1992 or Ferguson in 2014 and they are quick to put the blame on poor people or minorities or a few destructive elements. But riots right here in Madison, Wisconsin show us that it doesn’t matter who the population is, income and ethnicity isn’t a factor, when people are in large groups and get aggravated, they will destroy things. And people will do things that they never thought they would do. Malcolm Gladwell delineated this particularly brilliantly at this year’s The New Yorker festival. Madison was always fun on Halloween, but in the early 2000s, it was the Halloween destination, even MTV came here to document the party. But you get tens of thousands of people from all over the country coming to the party, combine that with massive amounts of alcohol, and the inhibition-destroying effects of wearing a costume (there’s even a name for being defined by your outfit, called unclothed cognition) and Madison’s main drag turns into a scene that you normally only see on the news from a Russian republic or a Middle Eastern country. The psychology of a riot has a lot to do with seeing what other people do. Yes, you might not normally throw a beer bottle at a police officer, but watching how many other people throwing that bottle and not getting in trouble does it take for you to think that it’s okay? It’s the mob. You might not normally break a window, but if you see ten other people do it, well, then it might not seem to be such a bad idea. Throw some booze and youthful exuberance in the mix and I think you know where I’m going. Picture courtesy of Derek Montgomery. That’s Devil’s Night. A night where tradition, expectation, mob mentality, peer pressure, and opportunity combine to create destruction. And it’s that disintegration of society’s boundaries that we tackle in this episode’s song, “Neanderthal“. Right out of his wheelchair. And now I’m f$%^ing my PC. In this age of Stone.